Enjoy upscale accommodations, in-room kitchens & free WiFi when you stay at the Georgetown Suites hotel. 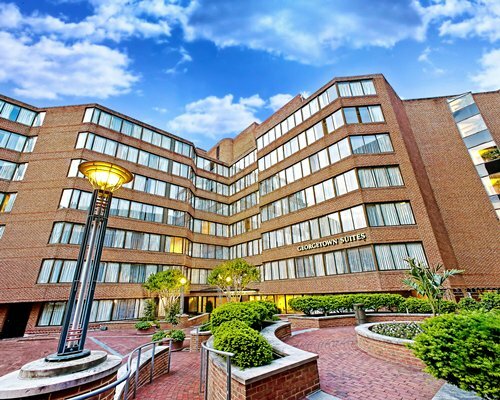 Georgetown Suites spans two buildings and provides everything you need for a weekend getaway, family vacation, or extended stay in the nation's capital. Parking fee is 35.00 U.S. dollars. Only Credit Cards accepted. Fee is per day.